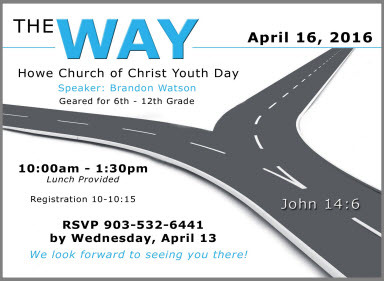 We hope to see you at our annual Youth Day April 16th, 2016. Our guest speaker will be Brandon Watson. Lunch will be provided.